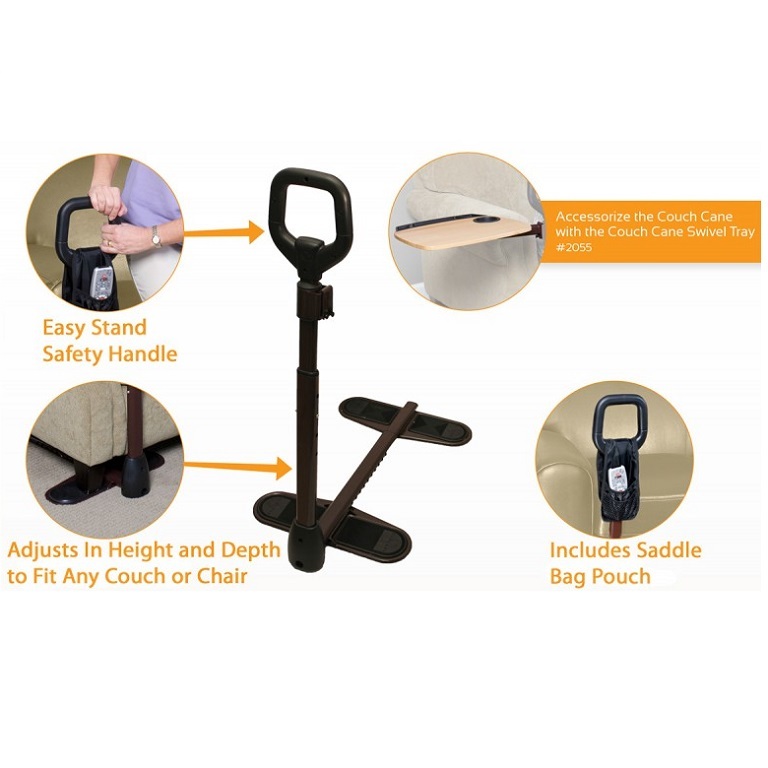 Couch Cane by Standers is a standing aid for people who have difficulty rising from a recliner, sofa, or large chair. 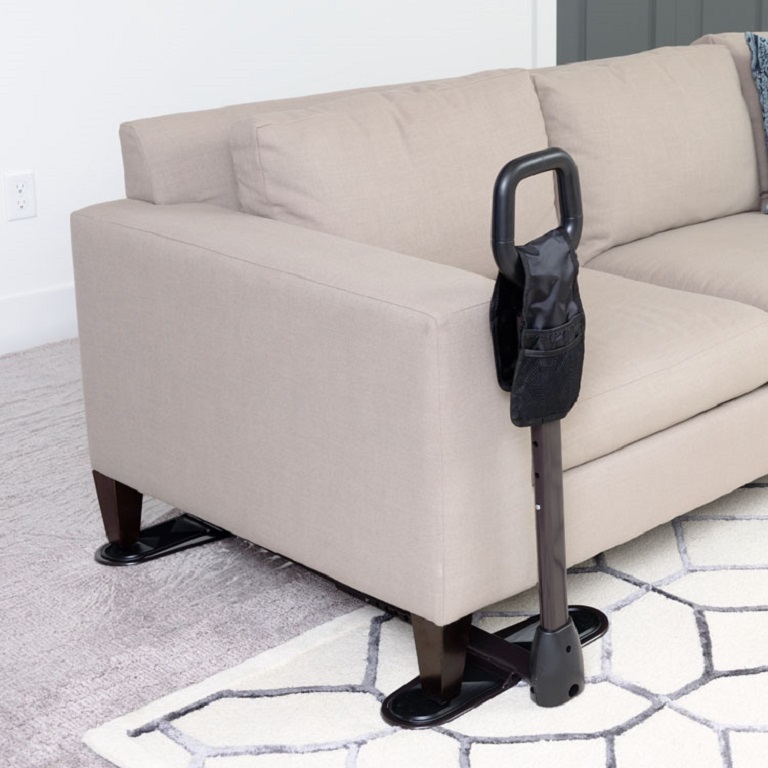 The Couch Cane by Standers is a standing aid for people who have difficulty rising from a recliner, sofa, or large chair. This transfer aid provides a comfortable grip, powder coat finish, and adjustable shaft. The base of the Couch Cane can be installed on either end of a full range of sofa couch depths and styles. 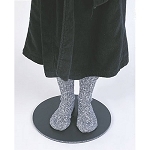 Anti-skid pads on the bottom of the base prevent the furniture legs from slipping and help protect floor surfaces. 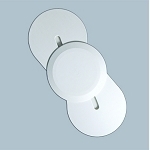 The handle adjusts from 29 to 32 inches high and has a wide griping area for more support. 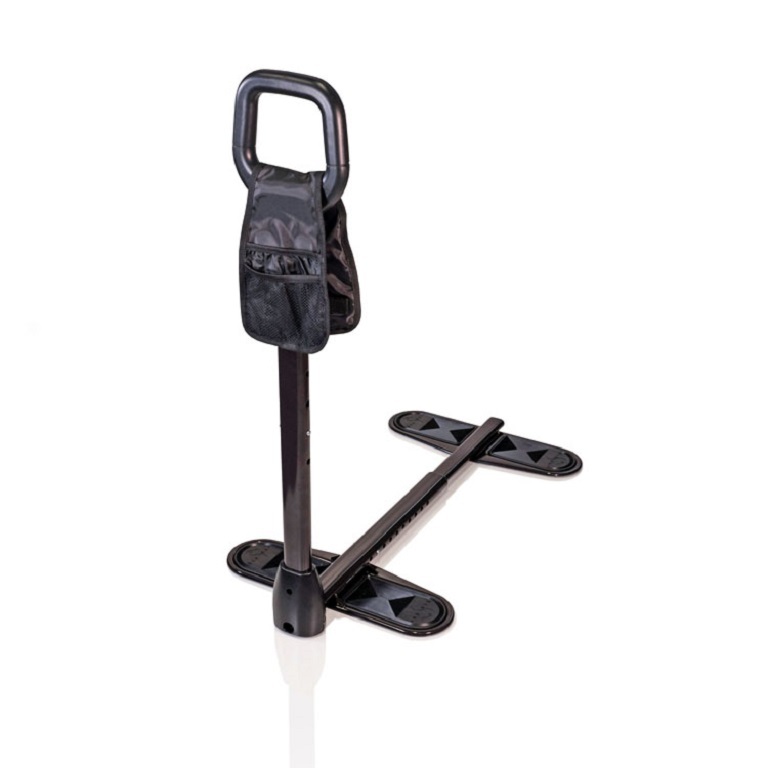 The Couch Cane supports weight capacity up to 300 lbs. Each Couch Cane includes the organizer pouch. 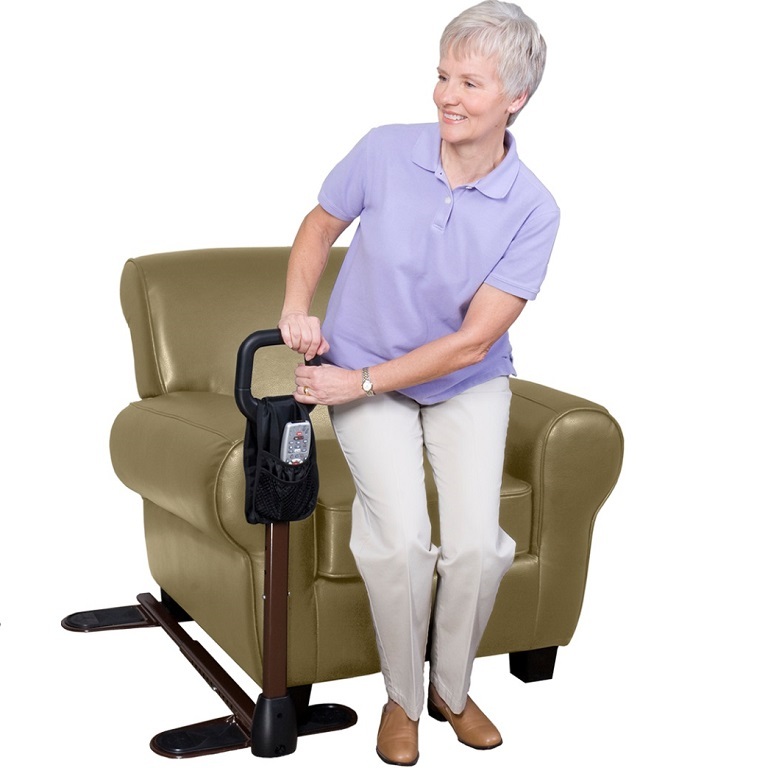 People with limited mobility who need assistance to stand from their favorite recliner or sofa will find this transfer aid very helpful. Width of Handle: 15 inches. Cane Height: Adjustable from 29 to 32 inches. Fits Couch Feet Distance: 21 to 33 inches. Perfect. 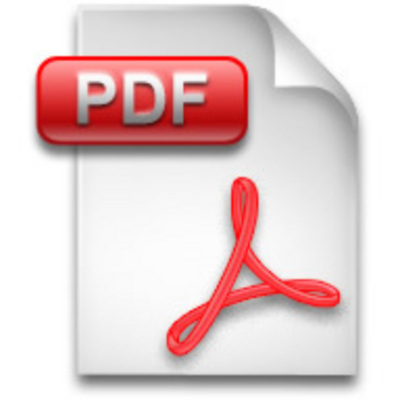 I have secondary progressive multiple sclerosis and can not stand on my own. A few years ago my wife bought a similar product with a table on it that I could move back and forth to put my lap top on. She then saw this and thought it would be perfect for the other side of my chair and she was right ... it''s exactly perfect. Q: Will this work with a couch that is a recliner but can go into sitting position? A: Yes, The Couch Cane by Standers is a standing aid for people who have difficulty rising from a recliner, sofa, or large chair. Q: Will it support a big man without tipping ? A: Weight capacity: 300 lbs. Q: i have the tray and arm by sander couchcane, is it combatable all your canes. i need a cane. 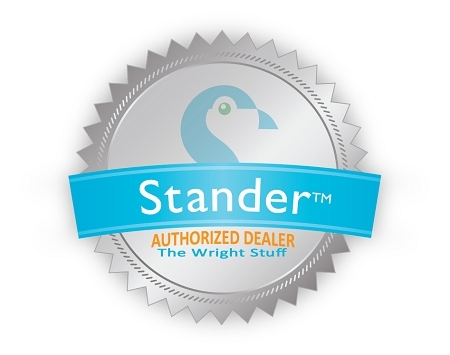 A: Yes, if the tray is made by Stander then it should be compatible with the Couch Cane.